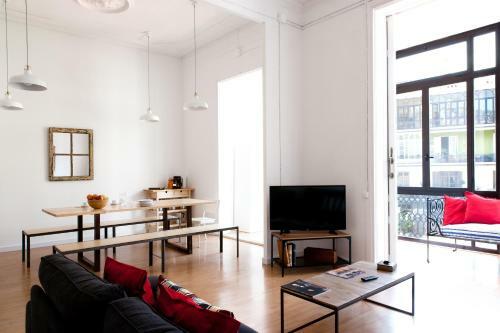 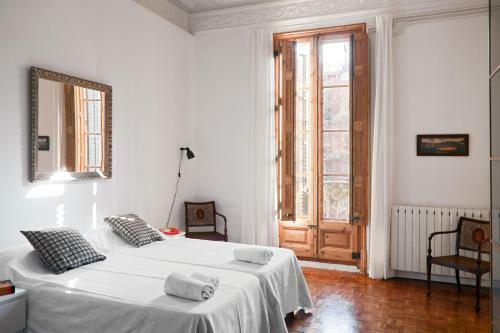 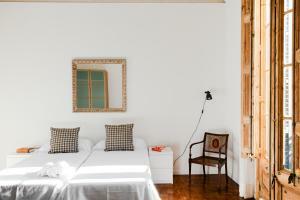 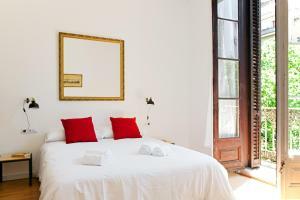 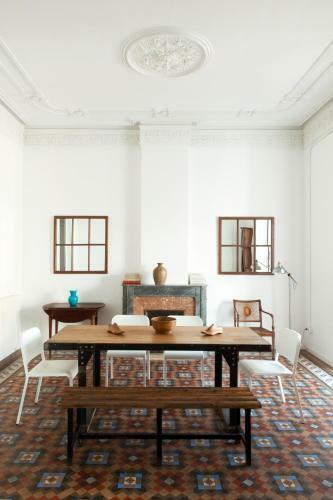 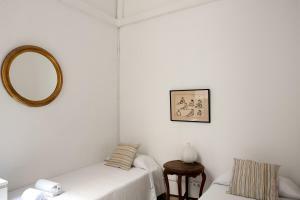 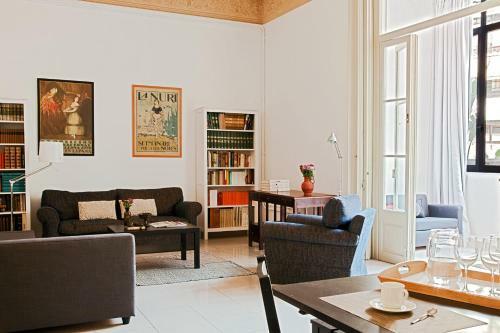 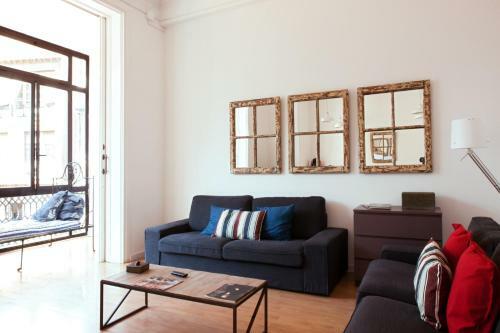 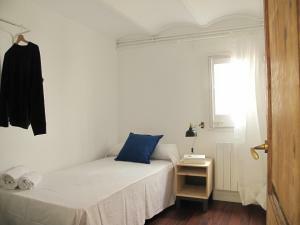 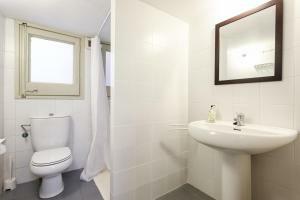 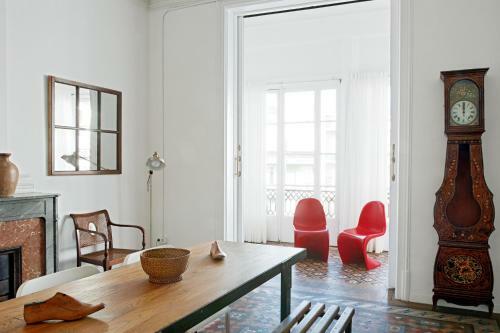 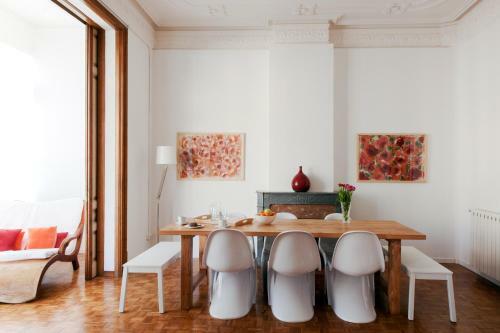 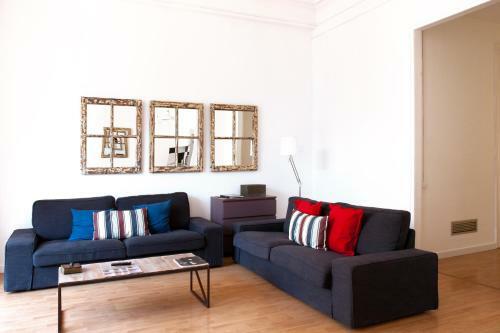 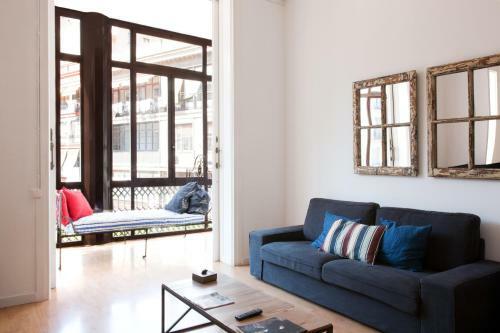 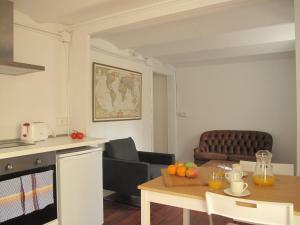 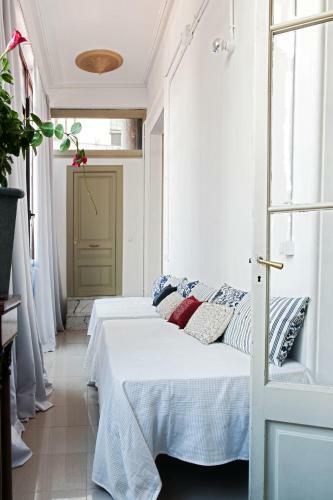 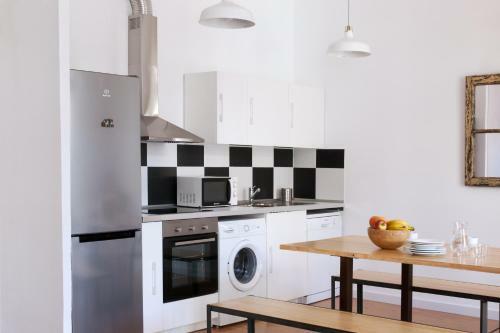 Centrally located just 2 minutes’ walk from Barcelona’s Urquinaona Metro Station, My Address in Barcelona offers large air-conditioned apartments with free WiFi, high ceilings and typical Modernist enclosed balconies. 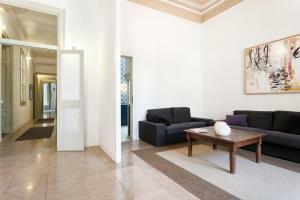 Spacious air-conditioned apartment with free WiFi, high ceilings and a typical Modernist enclosed balcony. 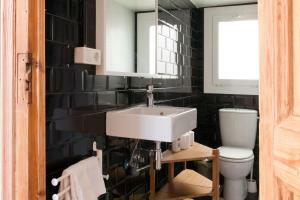 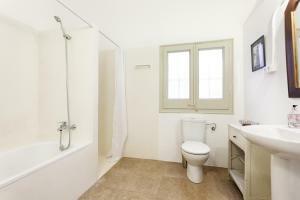 It has 2 bathrooms and a separate toilet room. 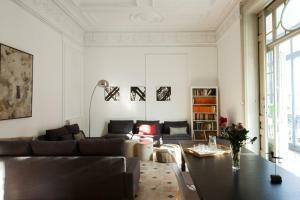 The spacious lounge-diner features a TV, 2 large sofas and a huge dining table for at least 10 people, expandable to 17 people. 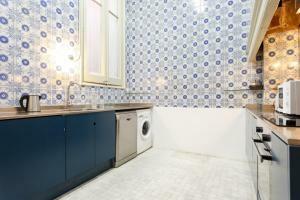 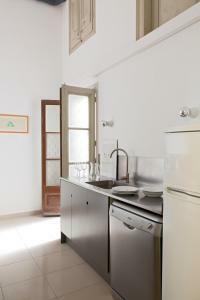 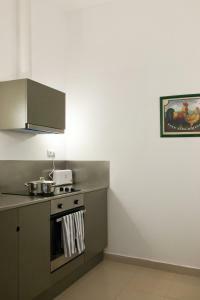 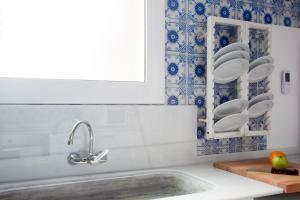 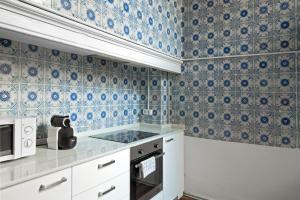 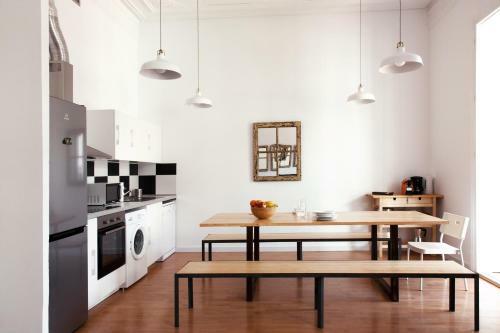 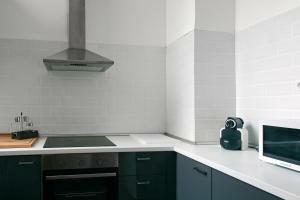 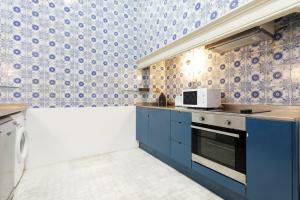 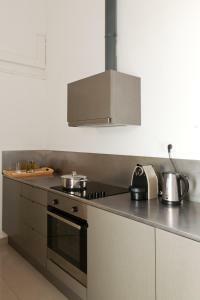 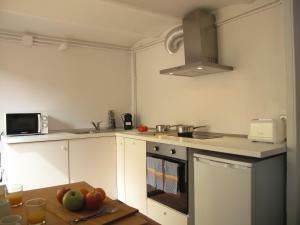 The well-equipped kitchens include a dishwasher and washing machine. 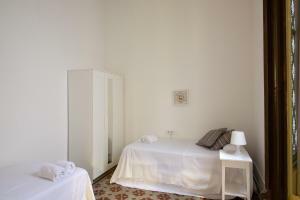 Rate: € 250.00 ... € 548.50; select dates below to get current rates. 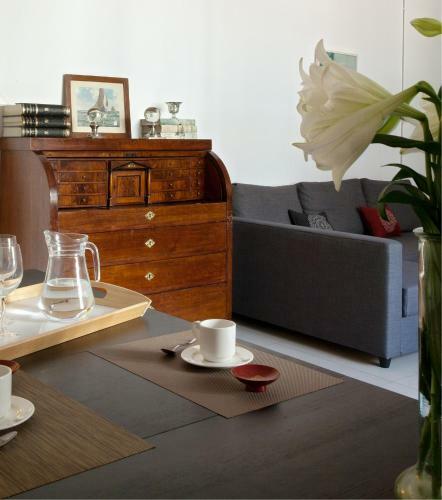 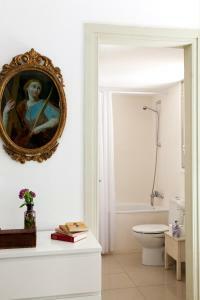 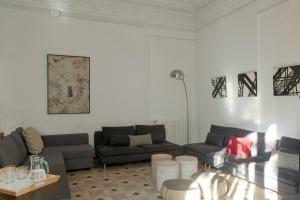 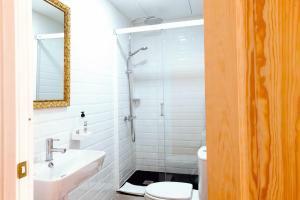 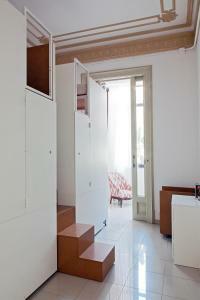 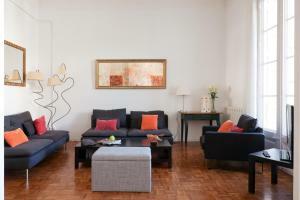 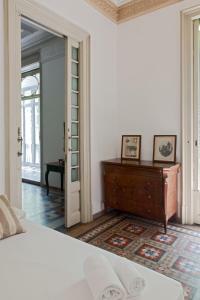 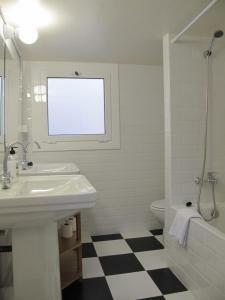 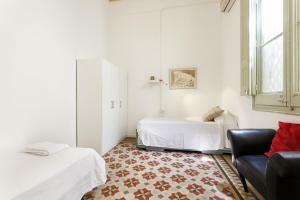 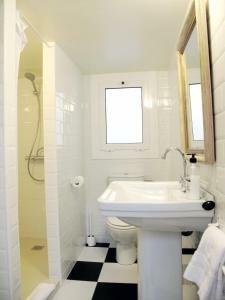 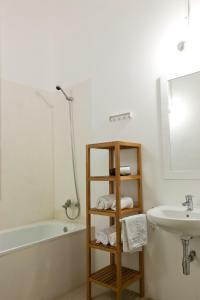 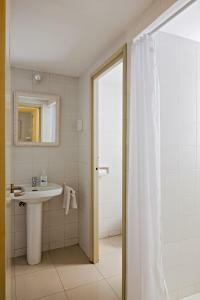 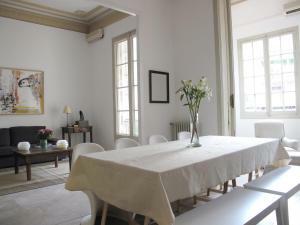 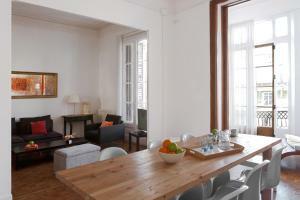 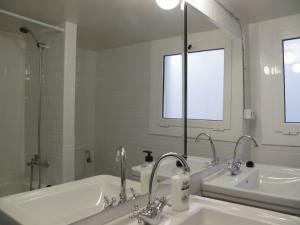 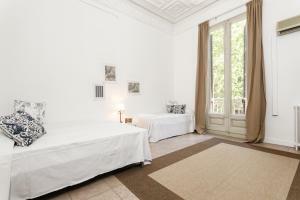 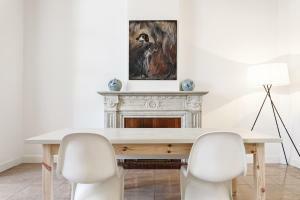 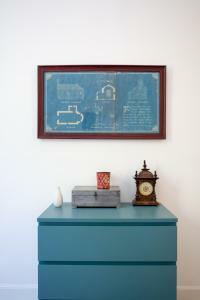 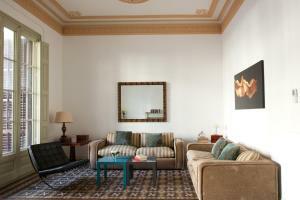 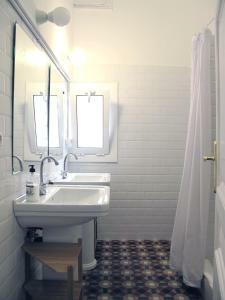 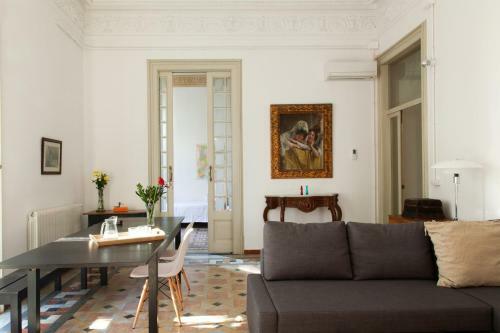 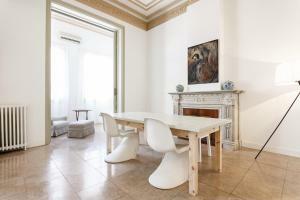 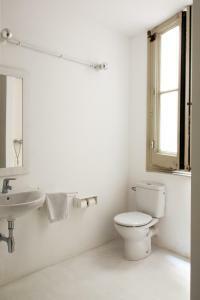 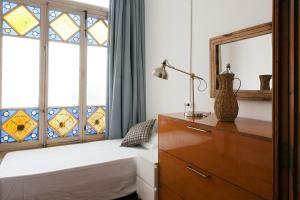 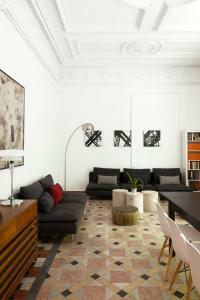 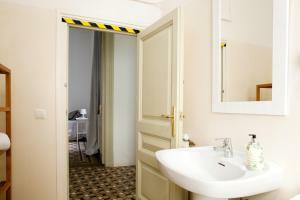 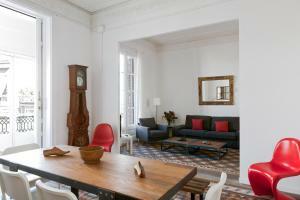 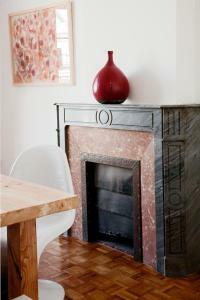 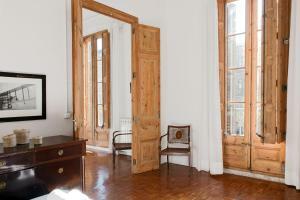 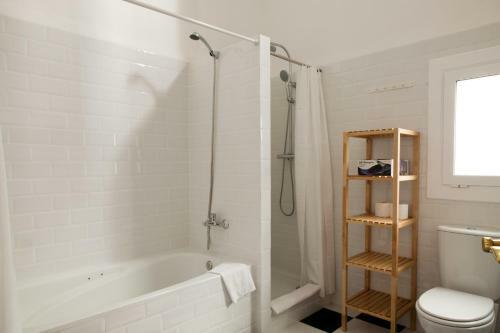 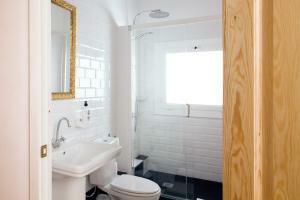 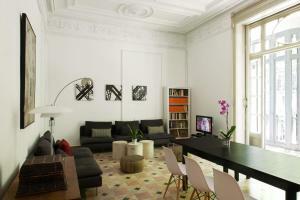 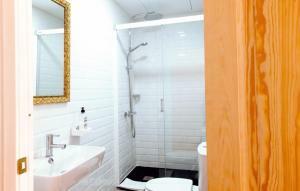 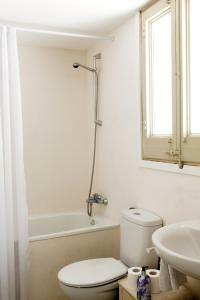 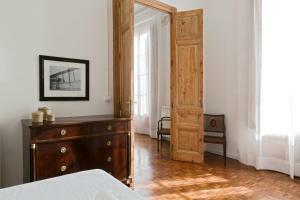 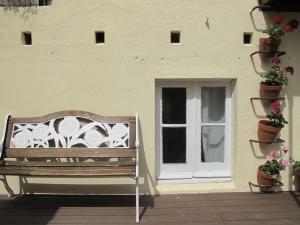 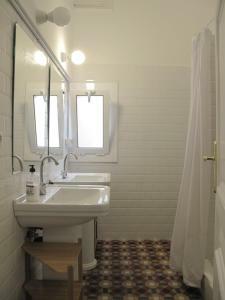 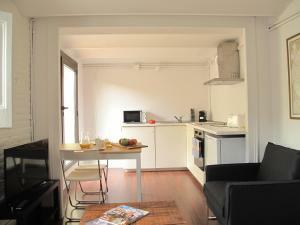 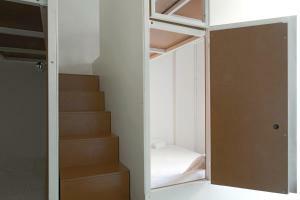 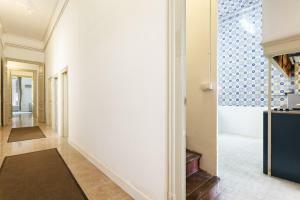 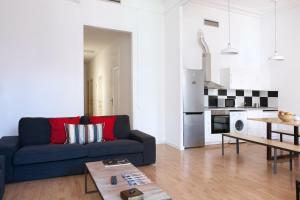 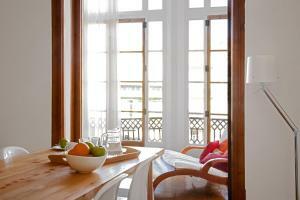 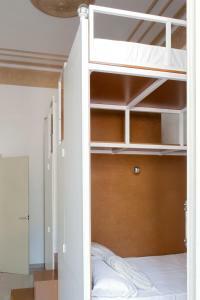 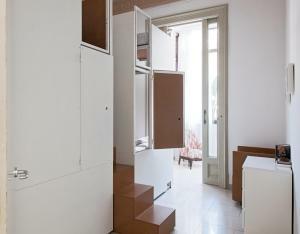 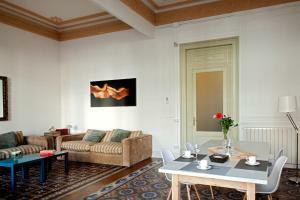 Spacious air-conditioned apartment with free Wi-Fi, high ceilings and a typical Modernist enclosed balcony. 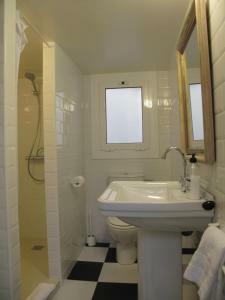 It has 3 bathrooms and a separate toilet room. 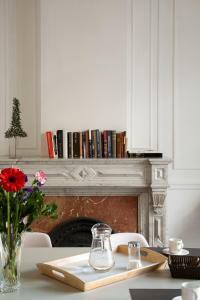 The spacious lounge-diner features a TV, 2 large sofas and a huge dining table for at least 10 people, expandable to 15 people. 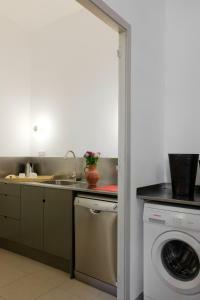 The well-equipped kitchens include a dishwasher and washing machine. 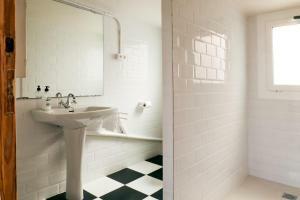 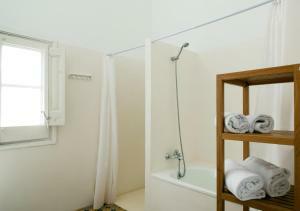 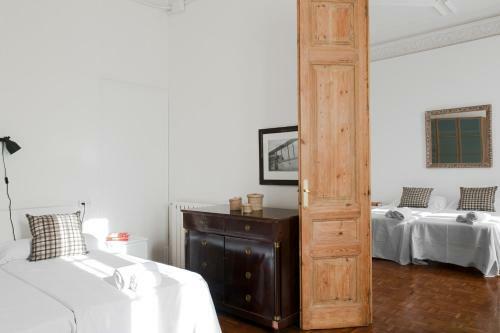 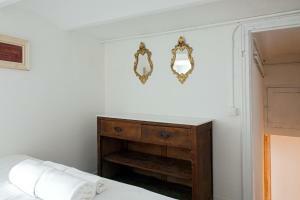 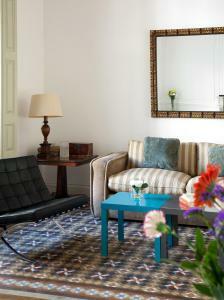 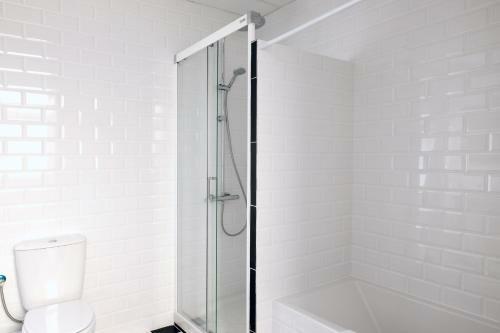 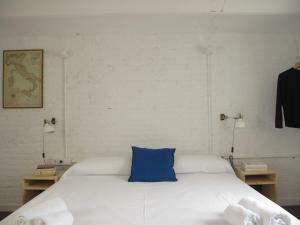 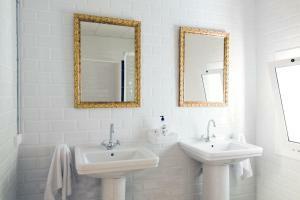 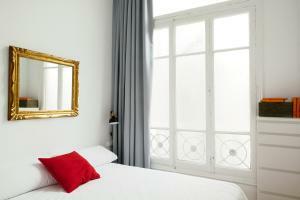 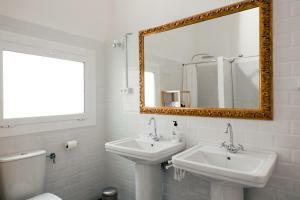 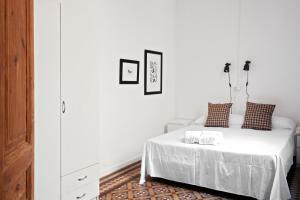 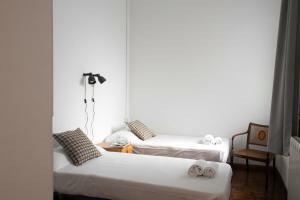 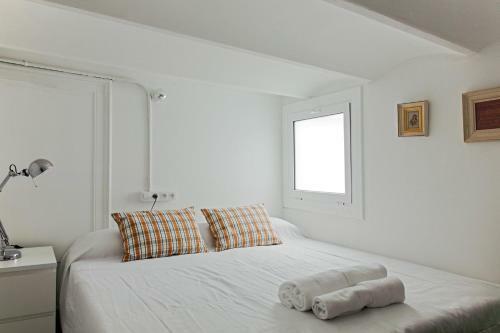 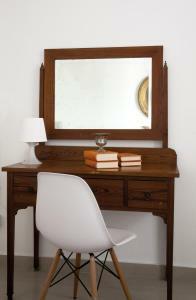 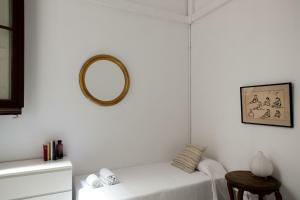 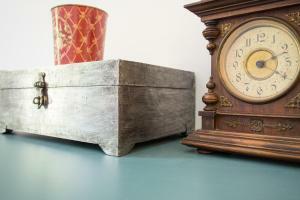 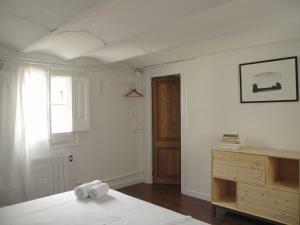 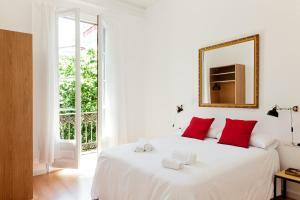 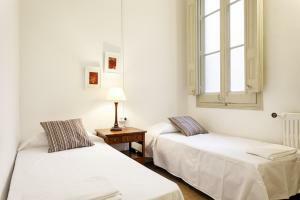 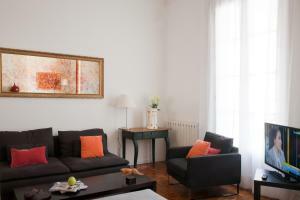 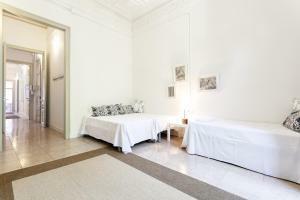 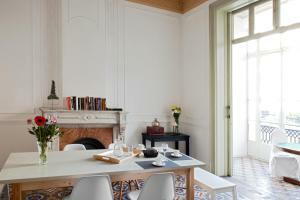 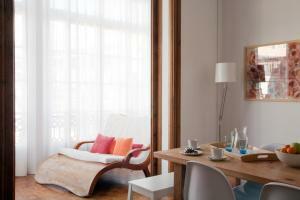 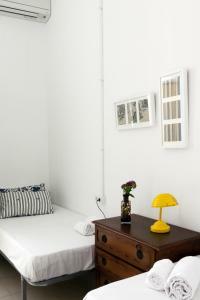 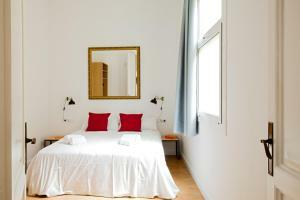 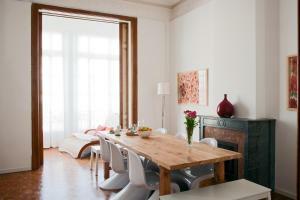 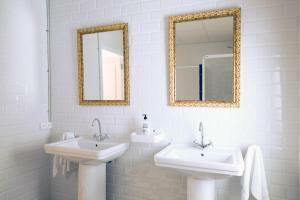 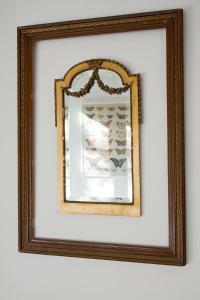 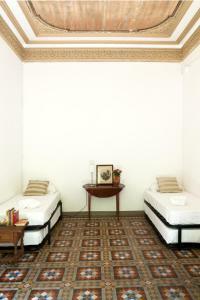 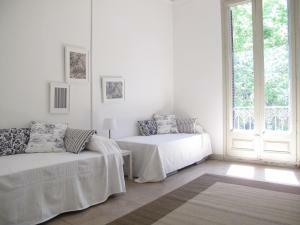 Featuring plenty of natural light and white décor the apartment offers a double room, triple room and quadruple room. 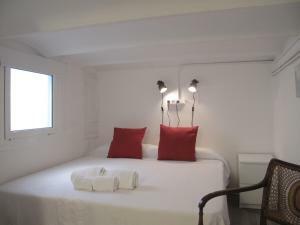 Rate: € 310.60 ... € 550.33; select dates below to get current rates. 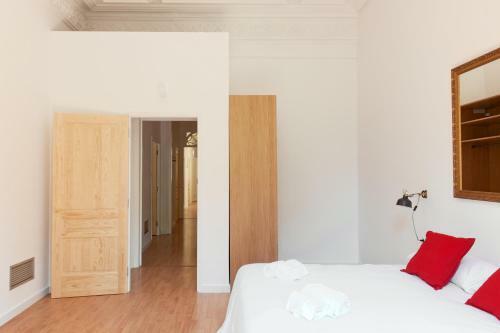 This apartment has 2 quadruple rooms, a gallery with 2 single beds, 1 double room with an en-suite bathroom and a triple room. 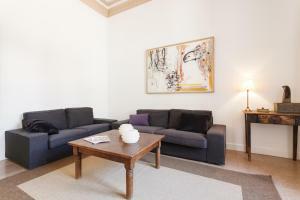 The living room has a sofa bed for 2 people. 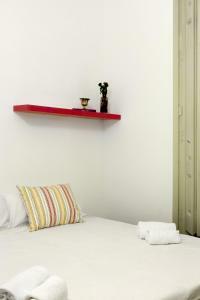 Rate: € 200.00 ... € 543.00; select dates below to get current rates. 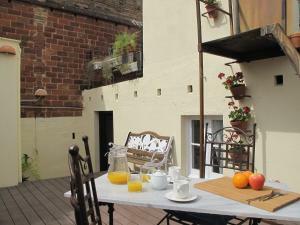 This apartment features a balcony, dining area and dishwasher.